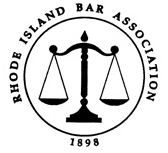 Aggressive, professional representation in all Massachusetts and Rhode Island Courts. We provide solutions to reduce taxes, save your home, and efficiently administer your estate. Our advocates aggressively fight the IRS in order to resolve your tax problems. ​Fabisch Law Offices is a boutique law practice focused on providing excellent probate, estate planning, elder law, special needs planning, and advocacy services throughout Rhode Island and Massachusetts.